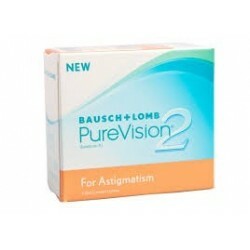 Pure Vision 2HD for Astigmatism (3) - . 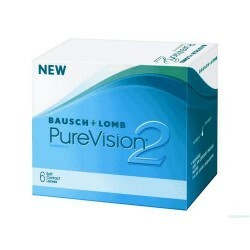 Purevision® 2 Toric is a second generation lens in the Purevision® products. As the thinnest lens on the market, the Purevision® 2 Toric contact lenses does not compromise on handling. This contact lens manufactured of silicone hydrogel lens material delivers high oxygen transmissibility to the eye tissues guaranteeing excellent ocular health during lens wear.
. 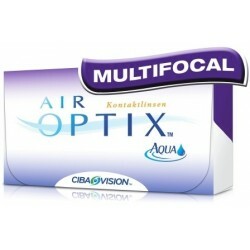 Even in low lens powers the lens is very easy to handle especially for the novice contact lens wearer. Packing of this lens has also changed as compared to its predecessor. This new lens is blister packaged using the Comfort Moist™ Technology, a packaging solution that incorporates poloaximine – a moisturizing surfactant (lens surface detergent or cleaner). 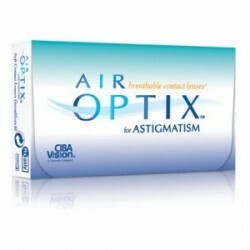 Using this kind of packaging technology contributes to increased lens comfort on insertion. Purevision® 2 Toric features High Definition™ Optics that provides the wearer with a clear, crisp vision quality even in low light conditions. 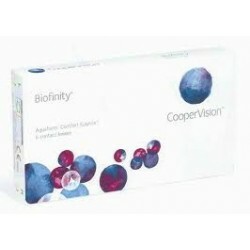 Package Content: 3 soft contact lenses in sterile buffered saline solution.